OKI solves your toughest commercial printing challenges. When you need exceptional color output, proven reliability and a strong return on your printing investment, OKI responds: With digital printing and finishing solutions built specifically for graphic arts, production and specialty printing markets. Ready to expand your service offerings? 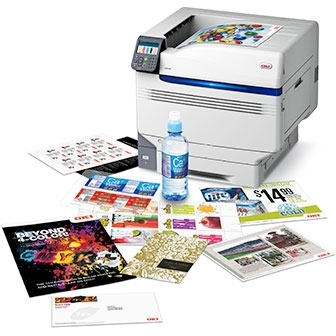 OKI now offers affordable, easy-to-use 5-station color LED solutions that let you produce high-value CMYK+ white, clear gloss and color-on-color printing – with a media flexibility that is unmatched by ordinary printers. Microfine toner engineering supports the crisp finishes your customer’s demand, while OKI Single Pass Color™ technology improves color registration for all paper types and weights. Make the jump to wide-format graphics with OKI’s line of ColorPainter printers. 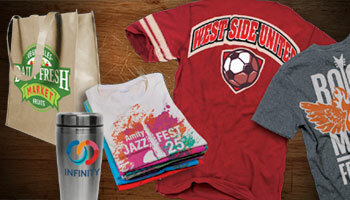 Every one of your current print customers represents additional potential source of wide-format business. With ColorPainter, you can print banners, posters, decals, wall/floor graphics, window graphics, vehicle wraps and more. OKI responds, with solutions that let you create breathtaking mock-ups and prototypes, watermarks and other artistic output – for stationery, invitations, brochures, packaging, POS materials and more. We offer short-run and envelope printing solutions that deliver brilliant colors and quality, with output that rivals traditional offset printing presses. 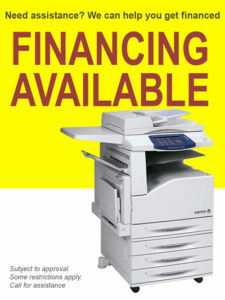 Our wide-format graphic printers provide high-density prints even at high print speeds. OKI gives you the print industry’s most revolutionary technologies, so you can produce impressive new documents, offer new services and grow your business. So you can truly “Print for Profit”.